I’m a huge wrestling fan here at GaminRealm and I don’t know about the rest of the guys. 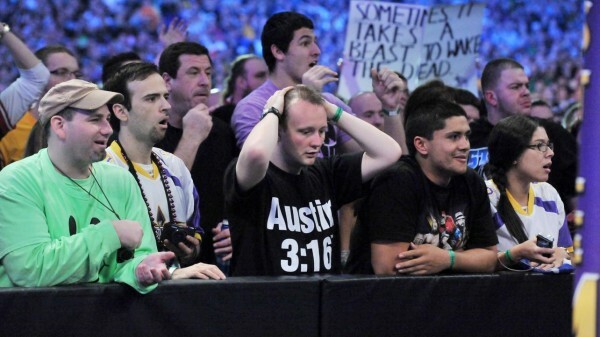 I wanted to write my feelings about WrestleMania 30 from last night. At first I thought I would just review the whole show and give my thoughts on each match but my first draft kept getting derailed over the result of Brock Lesnar vs. Undertaker. So I decided to get this off my chest when I say this: This shouldn’t have happened. Undertaker isn’t my favorite wrestler but he is my most respected, the one I most admire through the entire business next to CM Punk. And last night at WrestleMania 30 the one thing that made watching these annual shows all worth it; the undefeated streak came to an end by the hands of Brock Lesnar. Easily the most shocking moment from last night’s show, In fact what’s the number one topic in the wrestling world? This is. First, my critique of the match: The match was terrible. Easily the worst Undertaker WrestleMania match ever. It’s was the dullest 20+ minutes ever. Undertaker is over the hill and it showed as he rarely put any offense to Brock Lesnar. Anything Taker did, Lesnar countered and after he hit his third F-5 it was over. 1, 2, 3. The crowd fell silent, My brother and I and all our friends watching fell silent. Jaws dropped to the floor at witnessing the unthinkable; The Mighty Casey had struck out. 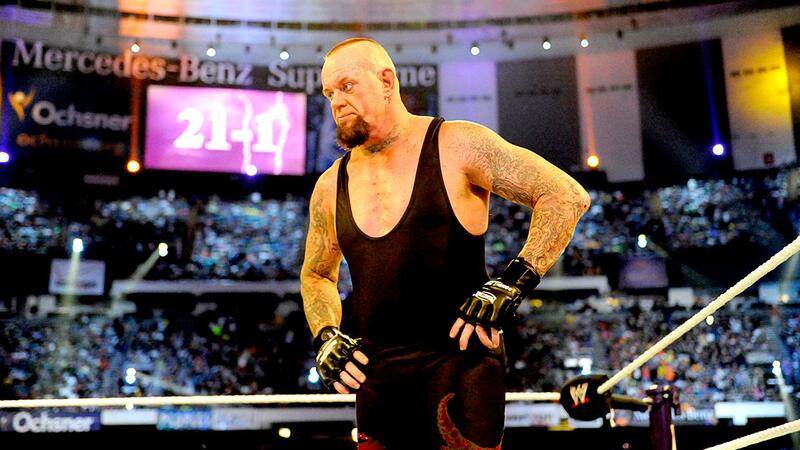 The Undertaker’s WrestleMania streak was put to rest. Even the WWE themselves didn’t know what to make of it. It took them 3 minutes of awkward silence and confusion for them to even acknowledge Lesnar as the winner. Confusion as people speculated that maybe Brock cheated; maybe Heyman attacked the ref, maybe Taker kicked out at one-fifths of the 3 count. But, no it’s legit. 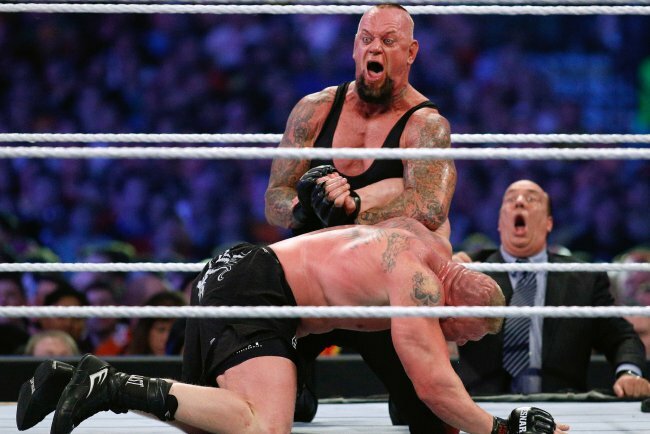 Brock Lesnar ends the streak: The Undertaker is 21-1 at WrestleMania and it’s a huge deal. So huge that it overshadows Daniel Bryan meteoric title win. Undertaker at 49 can’t do it in the ring as he used to. Trust Me, There is much more of this. So, why are we shocked? For a number of reasons. Nobody and I mean nobody though Brock was going to win. He’s a part timer with the company so many felt he doesn’t deserve the accolade of ending the streak. Second, there was virtually no build-up for this match at all. Third, some of us aren’t naive children. We knew that the streak was going to end one day as Undertaker’s career was coming to an end. But to Brock Lesnar of all people? If it was say CM Punk then, I would be the happiest clam on the planet today. CM Punk is a hard worker, he deserves something like this. Some would argue that Brock does deserve the honor of usurping the Phenom. He’s a household name in the world of contact sports, he is more widely known than CM Punk but that’s like saying that The Rock deserves the WWE title because he finally got 1 good movie out over the guy who works hard. But it’s what’s best or business and I can’t argue with that. They do have a legit argument to stand on but I disagree. A small number of us aren’t miffed that the streak is over per se, we are miffed at the fact the Brock Lesnar ended the streak. But for a broader half of us out there, we just didn’t want the streak to end in general, we wanted the deadman to retire undefeated. For a lot of us, we put in a lot of emotional investment throughout the years of the awesomeness that was the 21-0 streak. In fact some would argue Undertaker’s streak is a huge draw for us to want to watch WrestleMania. Usually in the realm of nerdom like with Capcom and other stuff, I’m the most rational person amidst the controversy and the entitled crybabies but I still can’t comprehend this. One of the things that draw people to WrestleMania is the streak or more specifically a streak. In fact already, the wrestling fans are now looking for a new horse to back for an new undefeated streak at WrestleMania to fill the void. Nevertheless, I congratulate Brock on a job well done and the question of him deserving the win is up to debate. No doubt this will go as the single most shocking moment in WWE if not all of wrestling history.